Get in the festive spirit at the 30 participating wineries, with seasonal events from carol singing and special tasting room opportunities to fabulous displays of Christmas lights. Sip on complimentary mulled Merlot wine at Tinhorn Creek Vineyards on November 26 & 27 and December 3 & 4 (10am-5pm), see the 60,000 Christmas lights illuminate Silver Sage on the same weekends (11am-5pm), create Christmas wine crafts at Oliver Twist (and take a photo with Santa on December 3 & 4) or listen to Yuletide music at Burrowing Owl (12-2pm November 26). Cozy up by the fire pit at Castoro de Oro Estate Winery (12-5pm, both weekends) or enjoy a rare opportunity to taste current and library releases paired with artisanal chocolates at Fairview Cellars(11am-5pm, both weekends). 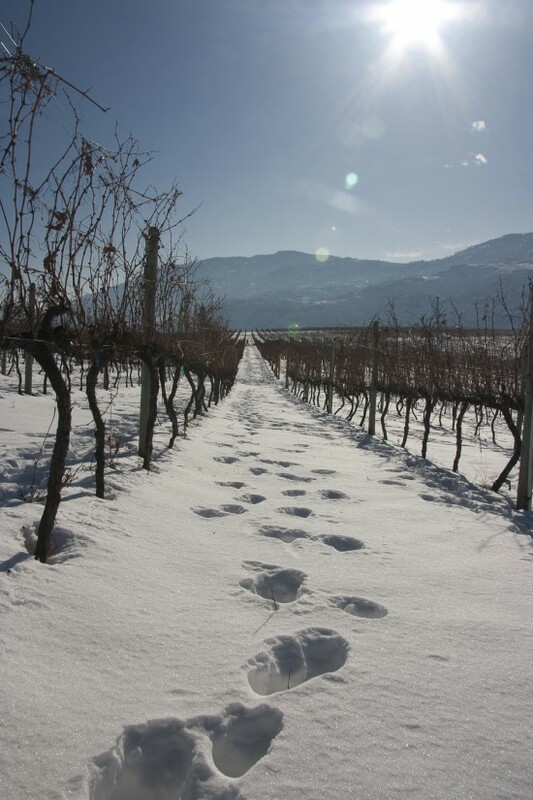 Winter in Wine Country Tours are offered by Okanagan Experience Tours/Top Cat Tours for $35 + GST per person on November 26 & 27 and December 3 & 4. See www.oliverosoyoos.com for a full listing of winery open house events. Christmas cheer starts with the Oliver Community Light Up and Fireworks on November 25 3-8pm at the Oliver Community Park: bring the kids to meet Santa and enjoy family friendly fun before a bonfire and fireworks to celebrate the start of Christmas in Oliver. December 3 & 4 sees Osoyoos herald the holidays with a Christmas light up and parade that features breakfast with Santa and the illumination of the town’s festive lights. Join the Rosé Revolution on November 26 at 7:30pm at Frank Venables Theatre Lobby. Presented by the Oliver Tourism Association, the event offers guests the opportunity to taste Rosés from a wide range of different wineries, with fabulous food pairing stations, live music and a people’s choice award. It’s a timely reminder that Rosé wines are not just for patio sipping! Tickets cost $40 and includes four tastings, food and live entertainments. Extra tastings cost $1 each. Tickets are available at the Oliver Visitor Centre and online. December 1-4 sees the grand reopening of Mount Baldy after being closed for two seasons and a special Baldy Mountain Resort First Chair Festival features plenty of prizes (especially for anyone dressed up like it’s 1968), music, films and a fire pit to warm up with family and friends. Visit www.skibaldy.com for more information. Festival of Trees brings festive fauna to Oliver and Osoyoos between November 25 and January 4 in support of BC Children’s Hospital Foundation. See the decorated trees outside at Baldy Mountain Resort, at Frank Venables Theatre 5.30-8pm daily, Watermark Beach Resort 8am-11pm daily and Nk’Mip Cellars 10am-5pm.